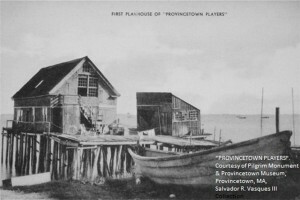 The Provincetown Players’ original wharf theatre at Lewis Wharf in Provincetown, Massachusetts (Pennington). We often hear about Bruce Springsteen, Itzhak Perlman, and James O’Neill, as well as many others, when we enjoy boasting about the famous performers who have travelled here to the Smith. The fact that the Provincetown Players performed here in 1922, however, has been buried after nearly a century. That is, until now. Since they were one of the most important and influential theatre groups in American history, it’s high time we boast about this just as much as we do about Springsteen. Eugene O’Neill, playwright of The Emperor Jones as well as countless other critically acclaimed and influential plays (“ONeill”). The Players’ story begins early in 1915, when Susan Glaspell and her husband George Cram “Jig” Cook wrote a play titled Suppressed Desires. They submitted it for production to the Washington Square Players in New York City, but it was rejected for being too experimental and impractical for the company to produce (Kenton 19). That spring, the couple returned to their summer place in Provincetown, Massachusetts “in the throes of their demoralization” (Goldman 298), feeling that the commercial theatre of New York had failed them. Their unhappiness was short-lived, however. Motivated by their rejection, Cook and Glaspell, along with many of their friends in Provincetown, decided to create their own theatre group. They converted an old fish-house on a wharf into a theatre and produced four plays, which included Suppressed Desires (Goldman 298-299). The summer of 1916 marked the second and last season the group performed in Provincetown, once again on the wharf above the water. 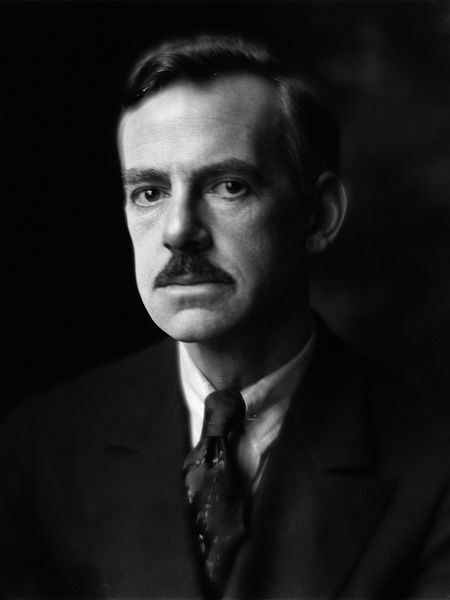 It was in this year that Eugene O’Neill was introduced to the group by a mutual friend (Goldman 301). While today we recognize O’Neill as one of the greatest American playwrights, at that time he was an unknown who had also “submitted plays to Broadway and to the Washington Square Players, all of whom had rejected them” (Heller 230). He therefore instantly fit in with the Provincetown theatre group’s “revolt against commercialized drama” (Kenton 21). O’Neill’s first play produced in Provincetown, Bound East for Cardiff, was beloved by the group members, and went on to be a huge success (Kenton 24). That fall, the group held a meeting, knowing that it was time to move on. They finalized their name, officially becoming “the Provincetown Players,” and initiated their plans to move the company to New York City (Goldman 302-303). They leased the Playwrights’ Theatre at 139 Macdougal Street NY, NY and performed there for seven years. During their 1921-1922 season, though, some of the Players went on tour with Eugene O’Neill’s The Emperor Jones. (Kenton 142). It has been recently discovered that one of the tour stops was our very own Smith Opera House in February of 1922. The play starred Charles Gilpin, who performed in Geneva himself along with other Provincetown Players. As an African American, Gilpin’s acting career included a tireless fight against prejudice. He was proud of his success with the Players, but was unafraid to criticize The Emperor Jones as being inadequate for African American representation. He sought a grounded and realistic play that would humanize black Americans and become an invaluable tool in destroying American prejudice and racism (“Charles Gilpin”). 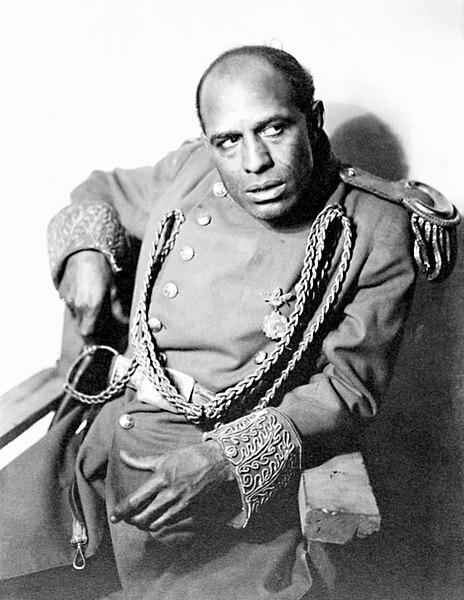 Charles Gilpin as Brutus Jones in The Emperor Jones (“Gilpin”). In uncovering our small part in the history of the Provincetown Players and Charles Gilpin, it’s clear that the Smith Opera House is not just a local treasure. It was a part of a theatre movement that would greatly affect us nationally, all the way up to the present day. The plays and playwrights produced by the Players are seen as hallmarks of American theatre history, and Charles Gilpin was without a doubt an early pioneer in American Civil Rights. Let’s make it well known that the Provincetown Players performed at the Smith Opera House! “Charles Gilpin Tells of Work: Colored Actor Confesses to Having Ambitions of a High Order.” Geneva Daily Times, 17 Feb 1922, pp 8. Rochester Regional Library Council. NYS Historic Newspapers, http://nyshistoricnewspapers.org/. “Gilpin-The-Emperor-Jones-1920.jpg.” Photograph by Francis Bruguière, The Theatre Magazine, Jan 1921, the Theatre Magazine Company. Wikipedia, https://commons.m.wikimedia.org/wiki/File:Gilpin-The-Emperor-Jones-1920.jpg#mw-jump-to-license. Goldman, Arnold. “The Culture of the Provincetown Players.” Journal of American Studies, vol. 12, no. 3, Cambridge University Press, Dec 1978, pp. 291-310. JSTOR, http://www.jstor.org/stable/27553426. Heller, Adele and Lois Palken Rudnick, editors. 1915, the Cultural Moment: The New Politics, the New Woman, the New Psychology, the New Art and the New Theatre in America. Rutgers University Press, 1991. Kenton, Edna. “The Provincetown Players and the Playwrights’ Theatre.” The Eugene O’Neill Review, by Edna Kenton et al, vol. 21 no. 1/2, Penn State University Press, Spring/Fall 1997, pp. 4-160.JSTOR, http://www.jstor.org/stable/29784595. “ONeill-Eugene-LOC.jpg.” Photograph by Alice Boughton, Library of Congress. Wikipedia, https://commons.m.wikimedia.org/wiki/File:ONeill-Eugene-LOC.jpg#mw-jump-to-license.